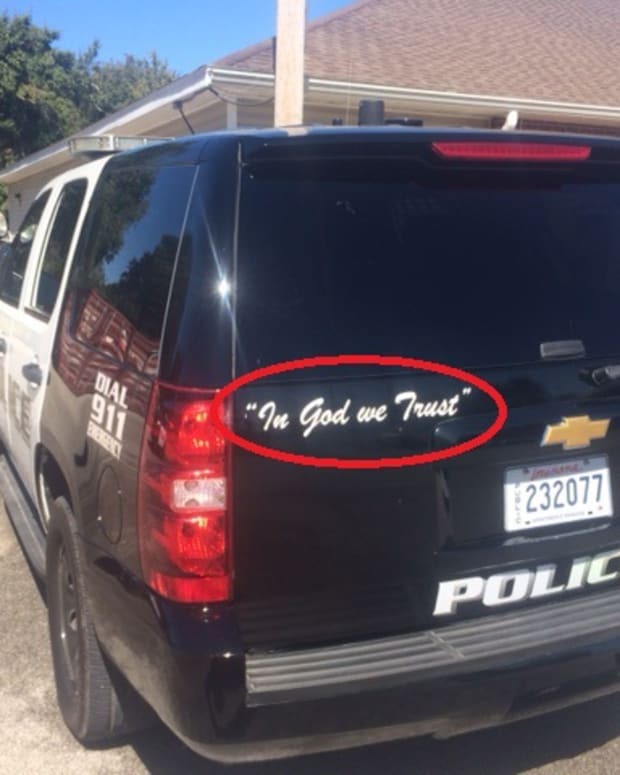 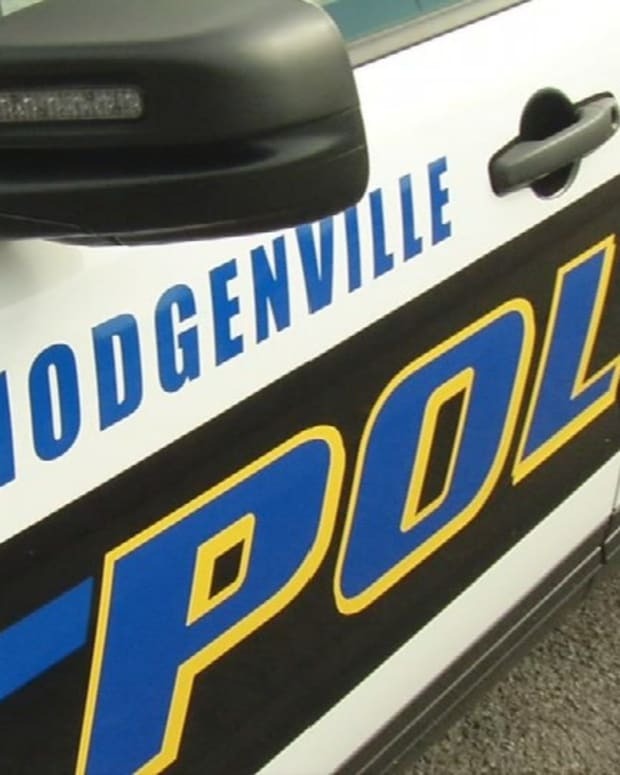 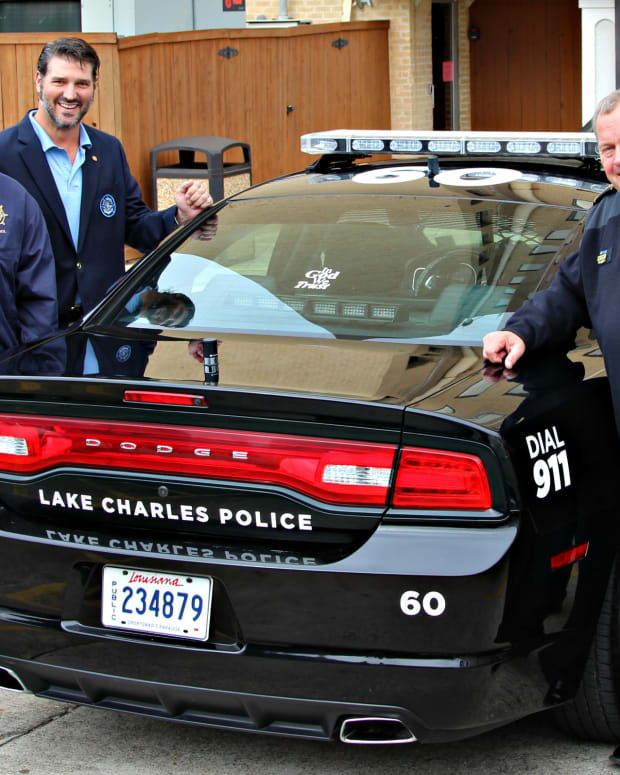 Police departments in Texas can continue to display “In God We Trust” decals on department vehicles, the state’s attorney general, Ken Paxton, said recently. 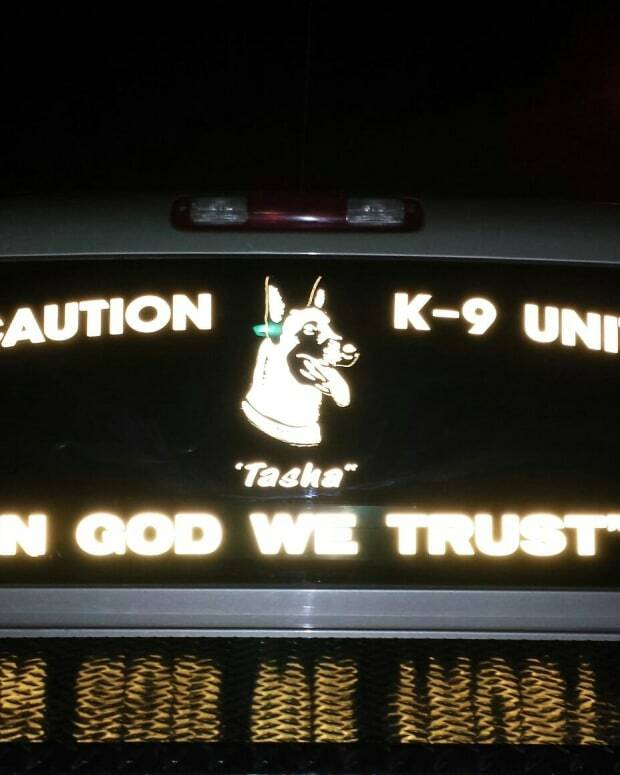 In a written opinion, released Nov. 4, Paxton said the decals were “a passive use of a motto steeped in our nation&apos;s history,” according to The Texas Tribune. Two Republican state legislators had asked Paxton to weigh in on the issue after the Wisconsin-based Freedom From Religion Foundation (FFRF) objected to the motto’s use by more than 30 police departments in several states, the Austin American-Statesman reports. 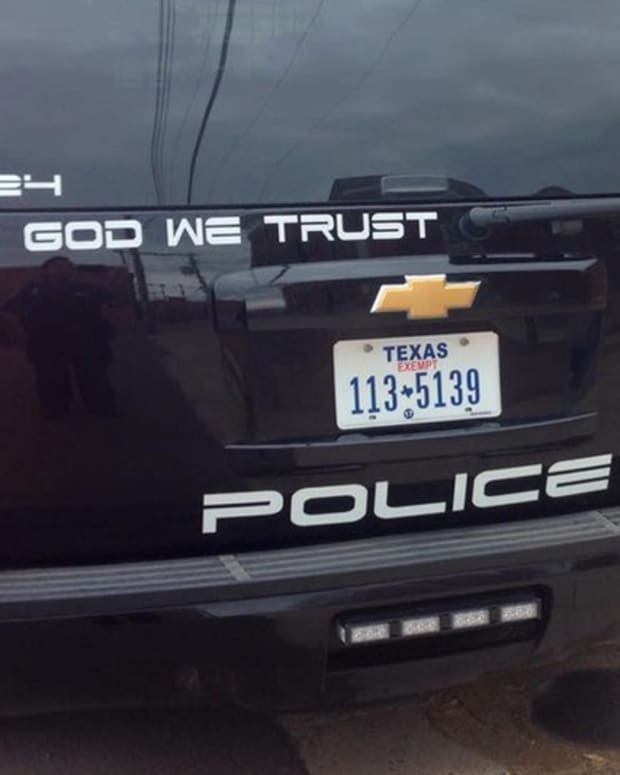 FFRF specifically sent the Texas Panhandle town of Childress a letter in September to address the controversial decals on police vehicles. 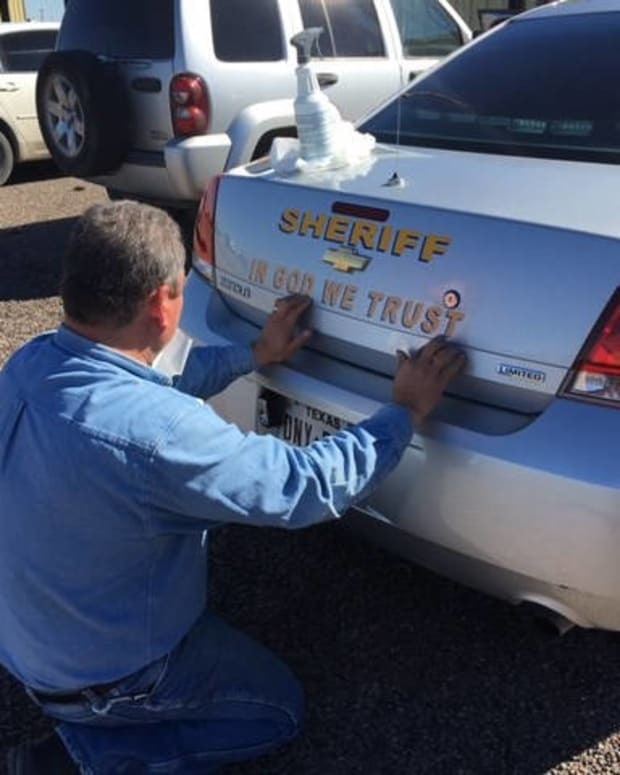 Rebecca Markert, senior staff attorney for the FFRF, told the Amarillo Globe-News at the time that the decals likely violated constitutional protections against the establishment of religion. 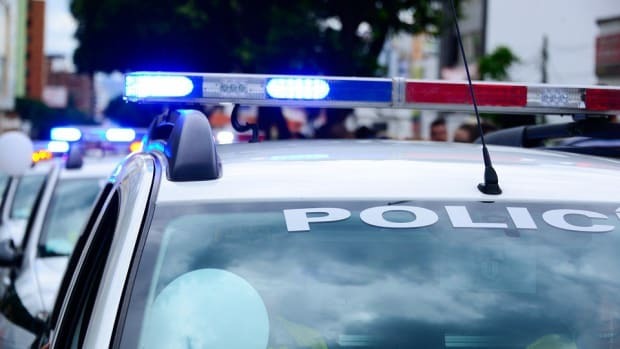 Childress Police Chief Adrian Garcia responded to the FFRF&apos;s letter with one of his own, in which he told the foundation to “go fly a kite,” The Tribune reported in October. 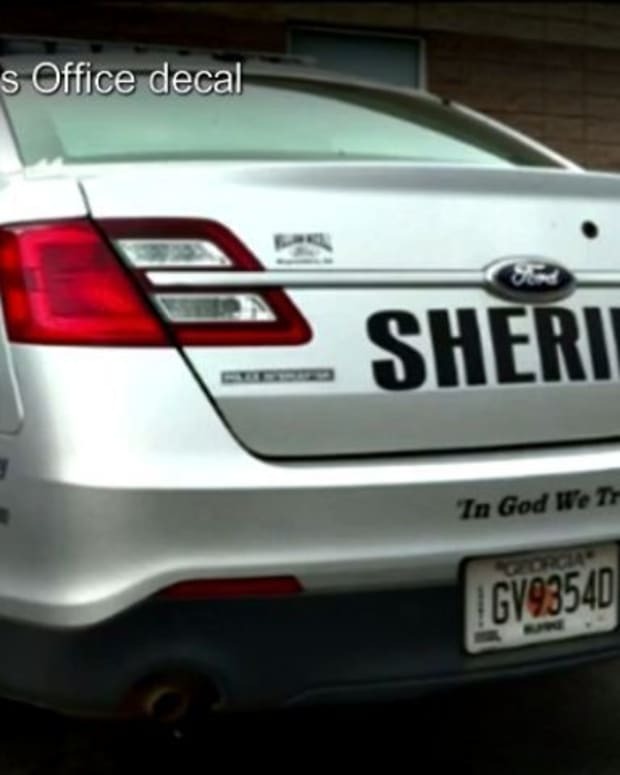 In Paxton’s November opinion, he disagreed with Markert’s assertion that the decals violated the Establishment Clause in the Constitution and said that he suspected a court would likely agree.